How to Avoid Getting Scammed! Well this is a little bit of a cautionary tale and some guidelines to help when you are on line. We hear about this every day on the news, see it on Facebook and Twitter and hear from friends and neighbors. Someone got their bank account hacked, or Facebook Account duplicated. Maybe a credit card was copied or stolen somehow. There is no end to the way unscrupulous people will try to steal from someone else. They have no respect or care about anyone else. So, you need to be careful. Verify who you are dealing with. Agencies. It may seem unbelievable but some people actually pretend to be from a government agency like the IRS and claim that you owe money and they need an immediate payment or you will be in trouble. The IRS will not do this. They will send an official letter. Do not believe this. You can report these calls to the FBI. Family. A young person calls and says they are your grandchild or other relative at college and have gotten into an accident and need money. Verify through other family members if this is true, but never give them your credit card number or agree to send money. Many older people have been scammed like this and it is heartbreaking. Prize Winnings. 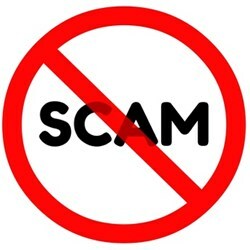 A person calls and says you have won a trip to Florida and if you just pay the processing fee, they will send your confirmation and will ask for your credit card number. This is a very popular scam. If you win a genuine prize, there will not be a processing fee. Many of the above type of scammers cannot be traced back because they are often calling from out of the US and can route their calls through a series of terminals and are impossible to find. Facebook Never put personal details like your address, phone number or email address on your page. Also, do not say that you are going on vacation and when and how long you will be away. This is a perfect way for people to target your home for break ins. Personal Accounts and Websites Do not let Google or any website store your login or password information. It is a good way for someone to hack your computer and have access to personal information such as banking, shopping sites and personal data. I recommend keeping a handy list of your logins and passwords to help you remember them and change your passwords twice a year. Select a date such as your birthday and one other date to do this. Shopping and Research It is fun to shop on line and very convenient. It saves from driving all over, especially during peak buying times, and you can often find some great prices and specials, but it also opens you up to having your information copied and used by scammers. Be careful. Never use or put your social security or personal banking numbers on line. Be careful when you use credit or debit cards and check your statements carefully to make sure charges are genuine. Contact your bank immediately if there is any trouble. Computer Security If you are not the most computer literate person and usually have someone help you with computer issues, beware of companies, even Microsoft or Dell or others who may send message to say your computer has a virus and in order to remove it they will need to have you give them access to your computer. Do Not Do This. Some will even say you have to pay for this service. Many of these messages are scams or viruses in themselves and can harm your system and you will be giving a stranger access to your personal information. Call a trusted friend or family member for advice or a reputable computer repair company and ask them for advice. Craigslist, Service Companies and Salespeople If you like to shop for bargains or services on Craigslist, be very careful who you are dealing with. Never invite a person to your home. Meet in a neutral place that is safe, such as a Police Station parking lot in view of the front doors. Many stations have areas set up for this so call around and see what they recommend. Do not go alone or late at night. If you are selling something, ask for payment in exact cash only. If a trades person, service person or sales person comes to your door, do not let them in unless you have made an appointment to see them. Even then, have a friend or neighbor be with you. Always ask for identification personal and from their business. Any reputable company representative will understand this. If someone is selling something at your door, be cautious. Do not pull money from your wallet in front of them. Now that you have a few tips, keep them in mind and protect yourself and others. Don’t put yourself in a dangerous situation. Not everyone is a nice honest person, so protect yourself. You can even do a little research on line and find many useful suggestions to keep yourself secure.